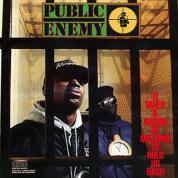 Truly legendary hip-hop releases are rare, but Public Enemy’s groundbreaking 1988 album It Takes a Nation of Millions to Hold Us Back easily earns the distinction. With its pointed socio-political commentary and inventive production, the album represented (and still does) urban music’s cutting edge. On Thursday, July 17, this essential piece of hip-hop history got its due. Future of Music Coalition and concert destination Pitchfork Music Festival hosted a discussion with PE frontman Chuck D, members of the group’s production team and music media experts about It Takes a Million. From January 10-13, 2007, the International Association for Jazz Education (IAJE) returned to New York City for its 34th Annual Conference, the largest annual gathering of the global jazz community. FMC’s Jenny Toomey and Kristin Thomson participated in separate panel discussions on Thursday, January 11. For followup related to FMC at IAJE.